Board a transatlantic flight bound for Poland. Dinner served on board. Your tour director is at the airport to warmly greet you and soon you're comfortably settled at your hotel. Upon arrival Mass at St. James Church, the church St. Faustina went when she arrived in Warsaw. The rest of the day is to relax. This evening enjoy welcome dinner and a show at a local restaurant. After breakfast visit all the landmarks of Warsaw: Old Town, Market Square, the Barbican, the Warsaw Ghetto monument, Lazienki Park, the Chopin statue, and the magnificently restored Royal Castle. Visit and Mass at Visit 3-9 Zytnia Street where Faustina entered the convent. Dinner and overnight. This morning you will have Mass and Visit Jasna Gora Monastery with the Black Madonna picture. One of the most important places of religious worship in the Christian world, with tradition of pilgrimages that goes back to the 14th century. Our Holy Father has frequently visited Jasna Gorna Monastery, known as the Shrine of the Black Madonna. The group will celebrate Mass at the Pauline Monastery and venerate the priceless treasures contained within, including the Miraculous Icon. Next travel to Zakopane, with a stop along the way in Wadowice, the birthplace of Karol Wojtyla. Visit the house where the Pope, John Paul II, was born. It has since been turned into a shrine-like museum. You will also visit the church he was attended and was baptized as a child. Next continue on to Zakopane, a resort village nestled in the splendor of the Tatras region. This afternoon we take a cable car ride to the nearby mountaintop for extraordinary views. Dinner and overnight. Before leaving the beautiful Zakopane, for the great city of Krakow, you will follow a short distance on one of John Paul II's walking trails of the Zakopane region, a beautifully situated place within Tatras Mountains in the valley between Gubalowka and Giewont. Zakopane and its vicinity is something of a mountain folklore reserve, with many pearls of typical wooden architecture. Horse-drawn carriages will take you to Kalatowki (optional). Admire picturesque landscapes of Polish highest mountains and visits the Hermitage of St. Brother Albert, founder of the Albertines Order. A short walk along colorful Krupowki Street for some last minute shopping in the local bazaar. On route to Krakow there will be a stop at the Tieliczka Salt Mines. Upon arrival in Krakow, settled in, then perhaps a short stroll in the old city before or after your dinner..
After breakfast explore Market Square and hear the silver trumpet of the bugler from St Mary's Tower. Within the Cathedral you may pray before the extraordinary Wit Stwosz altar. The surroundings of the square have remained unchanged for almost 700 years and contain buildings of historic value such as St. Mary’s Church with the famous wooden altar, the Town Hall Tower, the Cloth Hall and the burgher’s houses. Tour the Cathedral, Coronation Chapel and the Royal Chambers where a superb collection of Arras tapestries is on view. In the afternoon you will visit Auschwitz, the notorious Nazi concentration camp. You will see the cell that imprisoned St. Maximillian Kolbe and the Martyrdom Museum recalling the horrors of the Holocaust. Return to Krakow for dinner and overnight. After breakfast depart for the day excursion to Lagiewniki. The capital of the Divine Mercy. It was here that originated the message of the Divine Mercy, which Christ Himself wished to pass on to our generation, through the mediation of St. Faustina. The Sanctuary houses grace-working image of Merciful Jesus and the relics of St. Faustina. 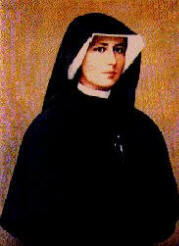 You will also visit the Shrine of Divine Mercy, St. Faustina's convent chapel, and St. Faustina's Tomb. Return to Krakow for our farewell dinner. Leave Krakow for the return flights home to USA.